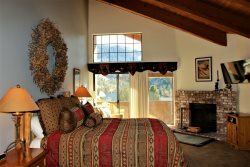 Interested in purchasing your very own vacation home in June Lake? Call Lynn Morton at Sierra Crest Real Estate today. 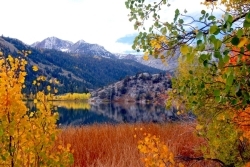 Activities and Attractions at June Lake and the Eastern Sierra Mountains. Something magical happens here! June Lake and our surrounding Eastern Sierra provide the best show of golden-orange-crimson fall colors in the western United States. The devine mixture of rugged beauty, granite canyons, rushing streams and azure blue sky create spellbinding contrasts of colors during autumn. Sierra Drifters Guide Service and Tom Loe are under permit from the Inyo National Forest Service. Beginner or expert, we cater to all of your needs. We can supply all the gear and instruction. Large family or friends? No problem. Corporate recreation trip? Not an issue. 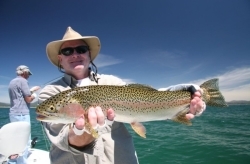 Sierra Drifters advocates a Fishing for Fun Catch and Release experience. 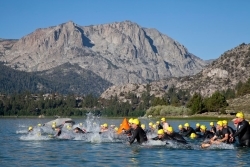 Half Iron and Olympic distances, set in a beautifully scenic high alpine setting, 7,600 feet above sea level with breathtaking views of Carson Peak and the Sierra Range surrounding the nestled cluster of high altitude lakes: Grant, Silver, Gull and June. Something magical happens here! This year's theme for the festival is 'Bringing it Home". Three days of top notch bands and the Free Kids Music Camp! The June Lake Loop is in full bloom, the trout are jumping, and the wildflowers are blooming. June Lake Loop is waiting for YOU!